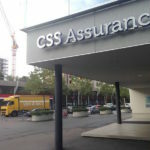 Statistics published today show a further rise in Swiss healthcare costs. In 2016, spending on healthcare rose by 3.8% reaching over CHF 80 billion, 12.2% of GDP. In 2015, Swiss healthcare spending was equal to 11.9% of GDP. The challenge of rising healthcare costs is not confined to Switzerland. In the UK in 2015, healthcare costs rose 3.6% to reach 9.9% of GDP. 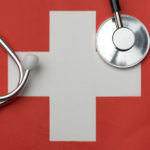 Switzerland has a system of compulsory private health insurance, however the government and employers covered close to 35% of total Swiss health costs in 2016. 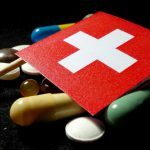 A World Health Organisation study in 2012 found Switzerland to have the highest out of pocket healthcare spending (US$ 2,412). Across the OECD, rising spending is largely driven by new technology, higher expectations, and ageing populations. An OECD report says that public expenditure on health and long-term care in OECD countries is set to increase to as much as 14% of GDP by 2060, unless governments can contain costs. The OECD recommends systems to control overspending, increased funding via “sin taxes”1 to reduce the reliance on payroll taxes, a declining revenue source as populations age, and greater focus on health promotion and disease prevention – non-communicable diseases, partly driven by lifestyle, are the largest burden on healthcare across the OECD. 1 “Sin taxes” are taxes applied to products associated with disease, such as tobacco, alcohol and certain foods.